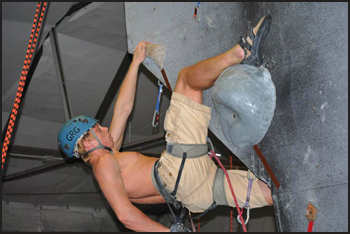 2012 marks the 4th year of the Collegiate Climbing Series sanctioned through USA Climbing. College students across the nation are grouping up to create powerhouse teams to represent their schools. Our region, which encompasses the entire state of Florida, is home to at least eight different college teams including, University of Central Florida, Florida State University, University of Florida, University of South Florida, Rollins College, and more. So far this season, competitors have faced the walls and setting of three different gym competitions: Vertical Ventures, Gainesville Rock Gym, and On the Edge and each of these competitions couldn’t be more unique. I’ve talked to several people who have competed in these competitions and the number one aspect that keeps teams coming back is the sportsmanship. CCS Regional Coordinator and FSU competitor Caleigh Louis has been “pushing for CCS to be a community cased group. Climbers are some of the coolest people in the world and we get the opportunity to climb and hang out with each other every two weeks. With this in mind, people are still competing but doing so in an encouraging and uplifting environment.” UCF Coach Mike Roller even states, “There is a great sense of community. Everyone wants to win, but we also want to see everyone climb to their full potential. 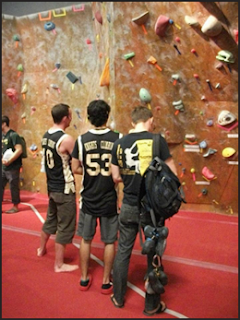 Vertical Ventures’ CCS competition, held on February 4th is unique in the sense that it is the only competition in the circuit which only involves bouldering. The VV routesetters were nice enough to give competitors a taste of what they were going to experience: “we have some free beta for you. In a word - slopers.” A lot of climbers were quite thankful for an superpowered air conditioning which made it feel as wintery in the southern state as possible. UF Climber Andrew Perry, who made his climbing debut for the first time in ten weeks since a broken femur halted his climbing in November, describes the Vertical Ventures’ routesetting to always contain “fun pumpy problems with sparse crappy feet” but the gym also contains the “highest efficiently in wall to floor space ratio.” Andrew tied for 2nd right underneath surprise climber from UCF Mark Mercer who took the first place trophy and for the ladies, UCF came out on top, dominating first and second thanks to Jessica Jenkins and Michelle Schrader. View the results of this competition here. Gainesville Rock Gym, home to the University of Florida’s climbing team, presenting the second CCS Local competition on February 18th. This was the first opportunity for the opposing teams to face each other on a rope and to see whose endurance would last longer. 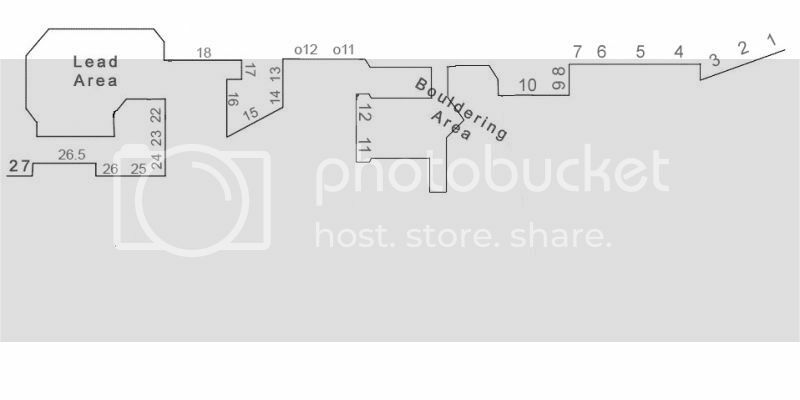 As Caleigh Louis notes, “Gainesville is very diverse in the way their gym is set up,” GRG is also said to have shorter, yet powerful rope routes, flat with interesting volume placement, but their best features are in bouldering. UCF climber Brad Clymer finds that “Gainesville’s walls are the best bouldering walls in Florida” with their top out boulder, 2nd story tunnel bouldering, and even a 30 degree wall for steep difficulty. Competitors typically have to climb smart at GRG and its competitions. Because of the long stout bouldering on long roofs, getting fatigued is definitely an issue to be considered. But for some competitors, this wasn’t an issue. UF’s Andrew Perry took first, representing his home gym but the glory was stolen by UCF’s Ashley Norton, taking first in the Women’s category. 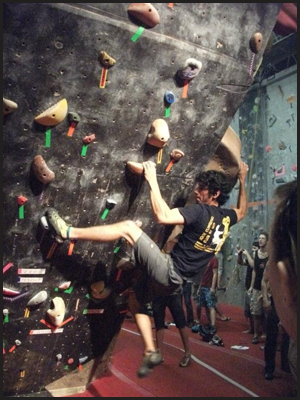 It seems from the conversations that I have had, without a doubt, On the Edge’s Local Competition on March 3rd in Melbourne, FL with the representation of the Florida Institute of Technology's climbing club has been the favorite competition of the CCS season. UCF Coach Mike Roller “was a big fan of how well the routes were set at On the Edge this year. They really made leading the routes worth it, which made for a much more exciting comp.” Described as having generally more overhung walls, they also have the tallest walls experienced so far in the CCS series. RC Caleigh Louis also thought that “their routes seemed to be focused on the holds being used and the length of the climb. 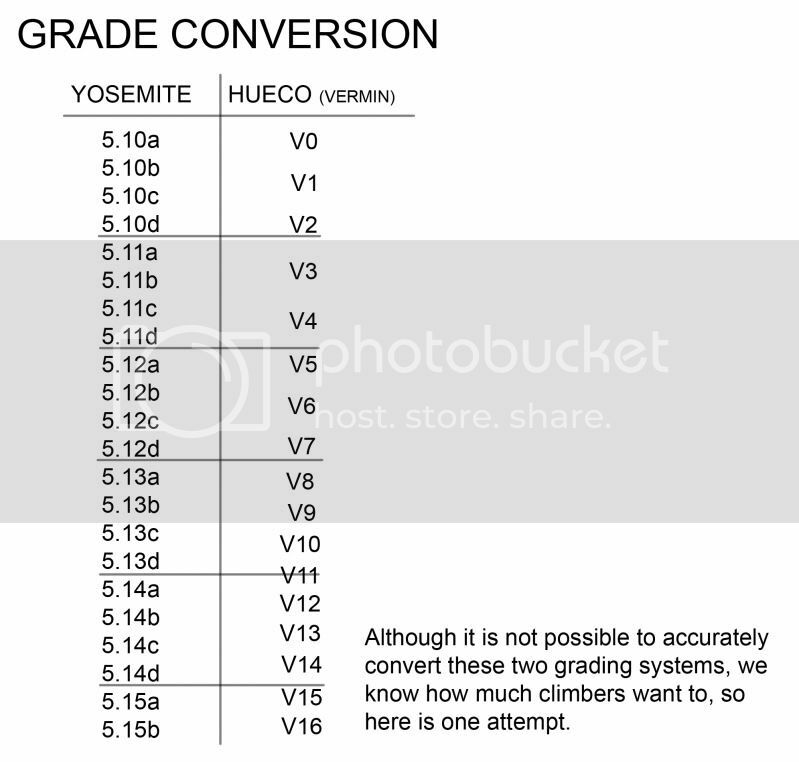 This allowed climbers to really test their endurance and focus.” This competition also held some memorial moments, such as Maggie Lee earning the attention of everyone at the competition as she made the only ascent of a super technical route. Andrew Perry was also an eye catcher in this one as Brad Clymer revisits a very scary moment. He “took a whip that sent him spinning head first, face down to the ground. When the slack caught up, the rope was around his waist and yanked him into a hard rotation... after everyone thought the worst, he gingerly announced ‘I’m fine’ and that was that! We were all flabbergasted for a moment.” OTE also rocked it with a sweet raffle and after party! Andrew snuck by with the gold, with UCF’s Doug Lutz on his tail, only losing because of one fall. For the women, UCF did it again, taking 1st and 3rd with Ashley Norton and Vicky Sinnott, and Jeni Collins from Rollins College took 2nd. 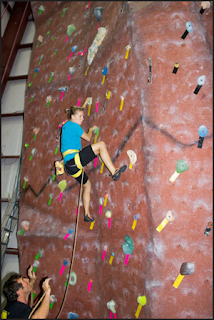 We hope that the memories made this season can continue onward with The Edge’s Local Competition on March 17th, and the best competition of them all... CCS Regional Competition on March 31st hosted by Aiguille Rock Climbing Center! We hope to see everyone there! Go Knights, Seminoles, Gators, Bulls, Panthers, Ospreys, Tars, and everyone else!